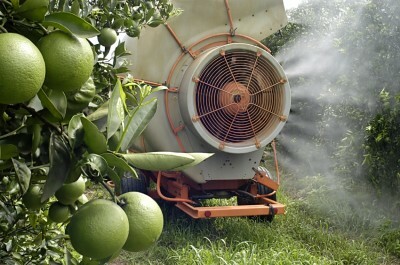 The GMO nightmare continues to unfurl, as the crop technology designed to reduce the need for pesticides has backfired. Farmers’ heavy adoption of these modified crops has sparked an increase in “superweeds” and hard-to-kill insects, creating the need to use more toxic herbicides. Proponents of GMOs have alleged that these crops are a vital tool for weaning farmers off of toxic pesticides, but this claim has been resoundingly refuted by a recent study published in Environmental Science Europe. Chuck Benbrook, a researcher for Washington State University’s Center for Sustaining Agriculture and Natural Resources, found that GMO use has led to a “monsoon in herbicides.” Not only have these crops necessitated the need for higher applications of Roundup, Monsanto’s herbicide, but the problem has also forced farmers to use older herbicides that have more harmful effects, says Benbrook. Statistics demolish Monsanto’s claim that GMOs reduce the need for herbicides. The magnitude of the increase in pesticide use is illustrated by the statistics of the study. In the period between 1996, when the use of Roundup-ready crops began, and 2011, herbicide use increased by 527 million pounds, equating to 11 percent. During the first few years of the use of Roudup-ready crops, these GMOs actually fulfilled Monsanto’s promise of reducing the need for herbicides: they reduced the use of these chemicals by 2 percent between 1996 and 1999. This advantage, however, was short-lived. After this period, weeds started developing resistance to Roundup, which led to farmers’ increasing their application of this herbicide by 21 percent, evidenced by a 19 million spike in its use, Benbrook tells The Guardian. The stepped up use of Roundup eliminated the weak weeds, which gave the resistant weeds, or “superweeds,” the opportunity to proliferate and take over. Statistics revealing a 24 percent increase in pesticide use between 2009 through 2010 show the problem is only getting worse. Benbrook relates to The Guardian that by this time the problem of resistant weeds had fully kicked in, resulting in the use of greater volumes of Roundup as well as more toxic herbicides such as 2,4-D, a component of the infamous Agent Orange. What about Bt seeds, the other main biotech product? Resistance problems leading to pesticide increases are not limited to Roundup-ready crops but also include the other primary biotech product – Bt seeds. These seeds have been engineered to contain a gene present in Bacillus thuringiensis (Bt) that is toxic to insects. This product’s purported benefit is that it will take care of the insect problem, but has it worked? Although it initially reduced the need for insecticides, the resistance problem developed by Roundup-ready crops has now begun to manifest in these crops as well. Just as weeds acquired resistance to Roundup, so also rootworm, the biggest pest of corn, is showing signs of resistance to the Bt technology. In areas of the Midwest where these crops have been popular, agricultural experts are advising farmers to spray other insecticides because the Bt trait is failing. Greater use of chemicals translates into more health hazards. Next Next post: DID PROP 37 REALLY LOSE OR WAS IT VOTE FRAUD?